With its impressive natural beauty, dazzling beaches, and lush rainforests, Brazil promises to leave visitors yearning for more. It’s time to get to know this year’s FIFA World Cup Championship’s gracious host. It’s Brazil’s turn in the spotlight. Brazil has a lot to offer and a lot to prove. With 32 nations participating, visitors will experience a culture so vivacious, that even the most introverted of travellers will come home having the best time of their lives. The nickname says it all. 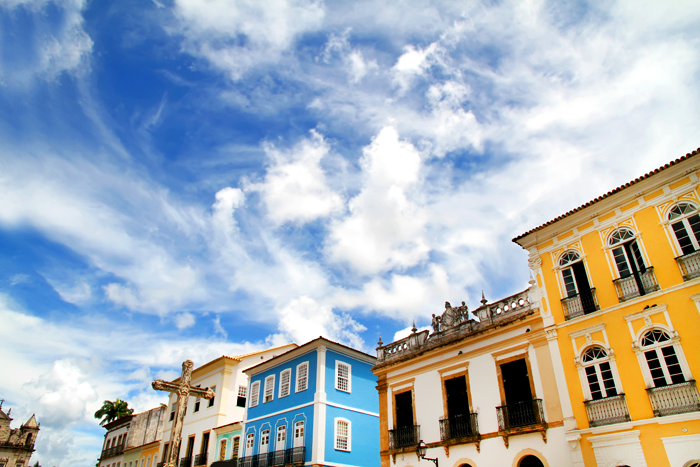 Situated in the northeast side of Brazil, Recife showcases a thriving cultural, entertainment, and food scene. Here you will come across an array of towering buildings, colonial churches and busy markets on one side, and rivers, small islands, and bridges on the other. Recife embodies both seaside and commercial charm, ideal for a relaxing and inspiring holiday. You may see your favourite teams at Arena Pernambuco, which comes with restaurants, shopping centres, and cinemas. Take a trip back time in Salvador and discover a city adorned with 17th and 18th-century architecture. The perfect spot for travellers who fancy the arts, Salvador ensures a cultural experience you will cherish forever. Stroll along the Pelourinho, the city’s historic centre. Its churches and colonial buildings will have you inspired throughout the whole trip. 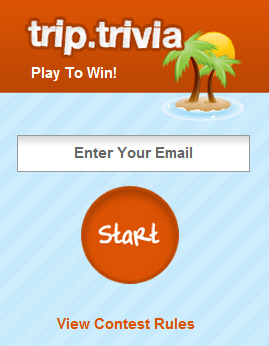 Take part in its countless parties and street festivals. Discover why it earned the name of Brazil’s capital of happiness. To enjoy the game, make your way to Arena Fonte Nova. This 52,048 certainly has room for everyone! Belo Horizonte also known as Beagá (pronounced as ‘bay-ah-gah) is the sixth-most populous city in Brazil. Named after the stunning views of nearby mountains, Beagá imbues undeniable charm. Visit the cosmopolitan streets of the Savassi neighbourhood, acquaint with the locals at a fine restaurant, or make your way to the Inhotim art museum west of the city – with so much to offer, it’s hard not to fall in love with Beagá. The matches will be held at the Estadio Minierao which can house up to 57,483 fans. Sitting in the centre of Brazil, Brasilia is the only city in the world constructed in the 20th century to be declared as a UNESCO World Heritage Site. With its avant-garde and modernist structures such as the Metropolitan Cathedral of Brasilia and the Juscelino Kubitschek Bridge, this capital city is an architectural dream. This June, 68,009 spectators will get the chance to enjoy championship games at the grand Estadio Nacional Mane Garrincha, the second largest stadium hosting the event. Blessed with flawless weather, Natal is best for travellers wishing to soak up all the sun. 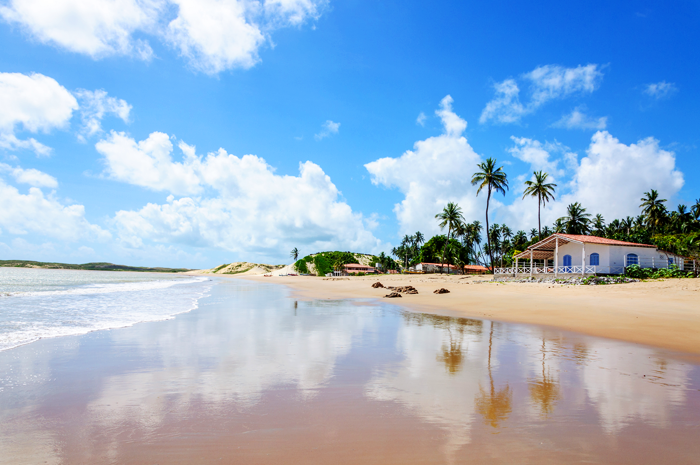 This great capital of Rio Grande do Norte boasts an annual average of 28C and roughly 300 sunny days a year. Its main attractions include beach neighbourhoods like the Ponta Negra, the beach of Maracajaú, and the largest cashew tree in the world. Catch the game at Estadio das Dunas, which has welcomed the biggest clashes in Natal football. Located in the heart of the Amazon rainforest, Manaus is a piece of urbanity in the middle of the jungle. Here you will find the Teatro Amazonas, which was built during the prime years of rubber trade, the Mercado Municipal, which was modeled after Les Halles market in Paris, among many others. The games will be available at Arena Amazon, which features 42,377 seats, restaurants and underground parking. Rio de Janeiro continues to be the most popular tourist destination and cultural hotspot of the country. 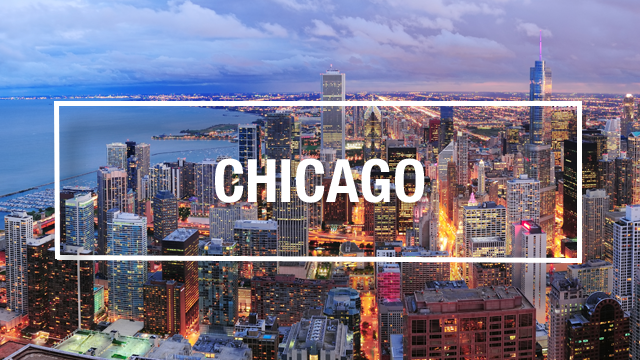 It’s rich history and infectious joie de vivre simply makes this city popular around the world. Nestled between a tropical rainforest and a series of awe-inspiring beaches, Rio de Janeiro offers something for both the adventurer and laid-back souls. Experience the hype of the 2014 FIFA World Cup at the Estadio Jornalista Mario Filho, better known as the Maracana, a venue that carries 73,531 spectators. 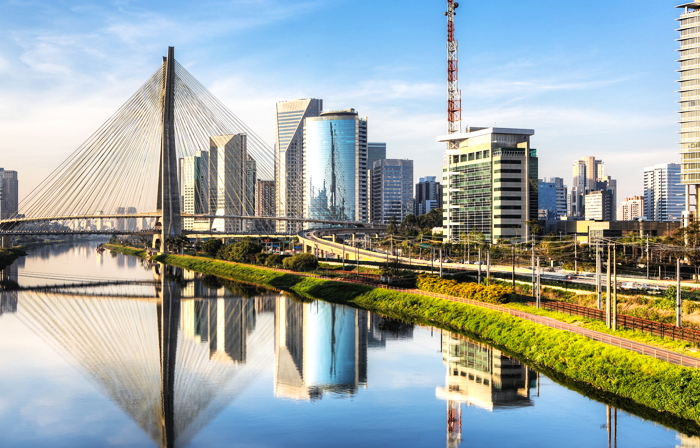 Sao Paolo is not only the biggest city in the country, it is also Brazil’s financial and business core. Located in the south-eastern region of the country, Sao Paolo offers everything from top-flight concerts and exhibitions to a wide array of gastronomical options (it has more than 12,000 restaurants). This city is also the most ethnically diverse in all of Brazil, hosting an estimated 100 different ethnicities. To watch 2014 FIFA World Cup, head over to Arena de Sao Paolo, which can accommodate up to 6,000 visitors. Cuiaba is the quaint yet booming capital of the state of Mato Grosso. It is home to three of Brazil’s most vital ecosystems: the savannahs of the Cerrado; the wetlands of Pantanal; and the Amazon. Needless to say, Cuiaba is the equivalence of paradise for any eco-lover. For FIFA 2014, Arena Pantanal will accommodate 42,968 guests and will host four matches. Fortaleza, which is Portuguese for “fortress”, is a Brazilian city renowned for its wonderful beaches, such as the Praia do Futuro, its several barracas, which are kiosk-restaurants built on sand, and vibrant nightlife. For this year’s game, the Estadio Castelão has been revamped and expanded to host over 58,000 fans. Curitiba serves as a role model for many urban planners around the world. Its revamp in the 1970s by three-term mayor, Jaime Lerner certainly positioned Curitiba as one of the most efficient cities in Brazil. Today, it brags impressive botanical gardens, affluent population, and sophisticated infrastructure. The global showpiece will be presented at the Arena da Baixada, which has a capacity of 38,533. Located on the freshwater banks of Brazil, Porto Alegre is a key player in the South America free-trade agreement. 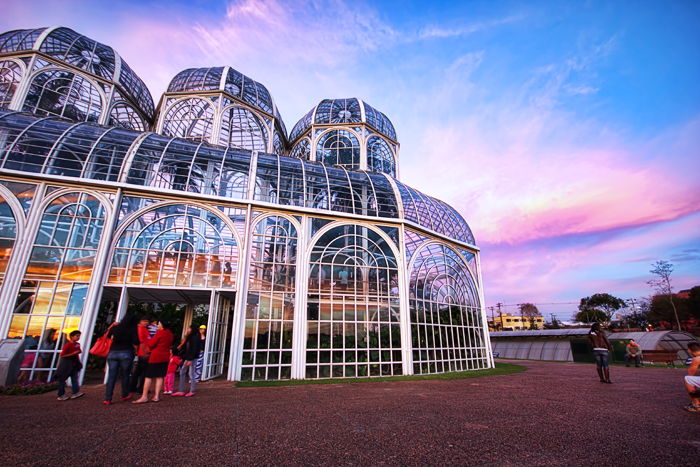 In Porto Alegre, you will find a city that features a long tradition of progressive politics with mandates that nurtures the art scene and gay and lesbian communities. It is also a lot grittier than most southern Brazilian urban cities. This year’s games will be hosted at the largest football ground in the south of Brazil, officially known as the Estadio Jose Pinheiro Borda. It has a capacity of 42,991. It’s not too late to book a trip to Brazil. 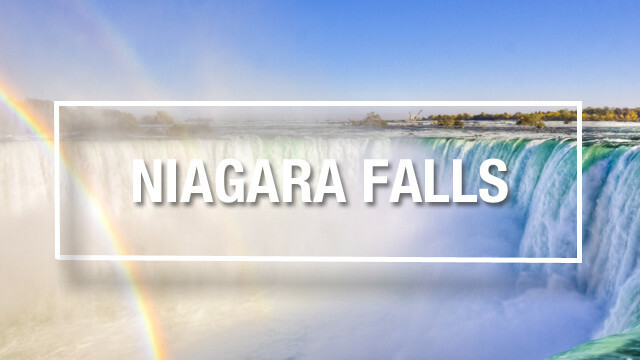 Allow the city to wow you and give us a call at 1-800-665-4981. 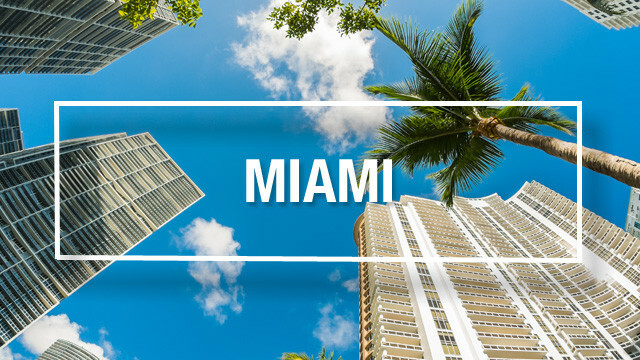 We can help you plan your dream vacation! Definatly need a vacation after the past two months…. We’re here to help when you’re ready to explore!